There is no doubt the Indian eCommerce market, which encompasses a whole range of digital initiatives, is likely to attract huge attention from enterprises, both big and small, in the coming year. Because when there is talk of mouthwatering figures like $6 billion, many hardboiled businessmen are likely to dip their fingers into the pie. Recently big names such as Infosys, Wipro and TCS have found themselves stagnating and have started looking for new avenues. 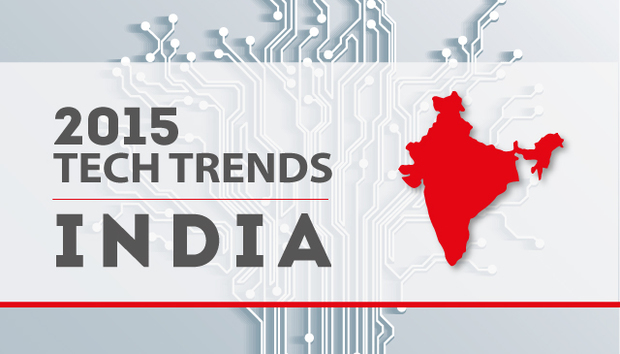 Given the explosion of eCommerce in India their focus is now shifting to fulfill the needs of this sector. Social, mobility, analytics and cloud (SMAC) is therefore a space where things are happening. Homegrown eCommerce ventures have attracted a huge amount of attention and investment. Flipkart a local eCommerce enterprise gained one billion USD earlier this year. Snapdeal managed $627-million from SoftBank, a Japanese investment firm. There are many other investors in the fray. The ecommerce market is likely to witness an explosion with it estimated to hit $700b to 750b in 2015. Over the next 12 months part of this cash will certainly be invested in strengthening these companies’ marketing, supply chain management and ERP. A social media presence requires software tools which can automate many processes. Mobiles are being used extensively by buyers for impulse purchases. The development of mobile apps and network resources has led to a new breed of tech savvy enterprises participating in the emerging B2B market. Cloud services, in the form of SaaS (Software as a service) as well as IaaS (Infrastructure as a service) will lead the technology bandwagon, as more and more brick and mortar enterprises decide to take shelter under a cloud in 2015. TCS, an Indian IT powerhouse has taken the initiative in promoting B2B transactions in a big way. TCS has developed digital software solutions targeted at the Banking & Financial services, retail and communication sectors. Tata digital commerce for retail is a software solution encompassing the entire gamut of eCommerce activities right from modules for supply chain management, search engine optimization, analytics to development of cross-channel management. Looking at the interest shown by IT companies, the B2B market is certainly going to witness phenomenal growth next year. The explosive growth witnessed in B2C eCommerce market has not happened in isolation. E-tailers require integration with their suppliers, partners on the one end and a distributing network on the consumer end. Given that eCommerce is still at a nascent stage, there is plenty of scope for improvement at every level. Online enterprises have to invest heavily in people and processes, if they wish to succeed in this cutthroat environment. Quality delivery and successful fulfilment is totally dependent on the B2B strategies of these e-tailers. A case in point is the focus of Amazon in India. Amazon realized right in the beginning that the sophistication level of sellers in India is very different. To strengthen its seller network and avoid quality issues it introduced special B2B initiatives. When we contacted Amazon India, Amit Agarwal, Country Head & VP emphasized its commitment to developing a sturdy and dependable B2B network. “We have program called ‘SMB Accelerator’ that we have uniquely designed for India. The purpose of the program is to help SMEs get online and build their operational capabilities to grow their business and succeed online,” Agarwal said. Such initiatives are not isolated. Most eCommerce ventures realize the importance of a robust infrastructure and are taking suitable steps in that direction. Clearly, B2B backbone is at the heart of every successful eCommerce transaction. Another factor which will go a long way to catalyzing the B2B market in 2015 is the strong stimulus provided by the Indian government. The Department of Electronics and Information Technology (DeitY), has undertaken laudable steps to encourage Government and private enterprises to share their B2B platforms. Having conceded that the size of the Indian market is tantalizing for investors and businesses however, there is still uneasiness in some quarters. Questions are being raised about lack of infrastructure. The sufficiency and adequacy of supply chain, security concerns with respect to online transactions and lack of proper internet and broadband connectivity. Optimists claim that these are mere technical issues which can be easily dealt with. What matters most is the purchasing power of the Indian consumer and overall economic potential. There will always be a market as long as there is a customer. Whatever the case, these are exciting times for Indian businesses. The economy is growing. Foreign investors are ready to splurge on eCommerce ventures. And for every B2C venture you need the support of several B2B enterprises. The Indian government has launched numerous bold initiatives which include both state and private entities. The way ahead is full of promise but will also be challenging. Only time will tell whether Indian companies will be able to overcome the roadblocks and zoom onto the e-highway. One thing is for sure - 2015 will be a watershed year for B2B sector in India.